The Partagas Serie Connaisseur No.2 is an accessible and not overpowerful Panetela, 6.5” (166mm) long, of 38 ring gauge, and comes in a box of 25 cigars. 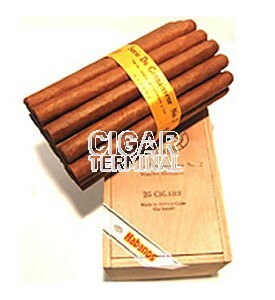 A pleasant cigar, very aromatic and not as strong as the Connoisseur No.1 or 3. Excellent cigar, not as long as they used to be, so a quicker smoke. Similar to the Delicados.The Delicados smoker will appreciate this as well.